Born in Cleveland, Ohio, I grew up in sunny Sacramento, California and now live in the San Francisco Bay Area. 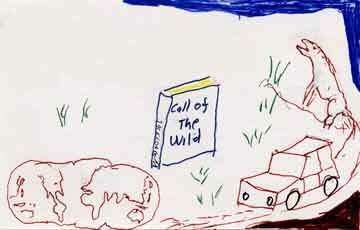 I remember reading adventure books, like Call of the Wild, by Jack London. For a while, when I was asked what I wanted to be when I grew up, I said a hunter and fur trapper in Alaska. There was also a book about some guys that drove a Land Rover around the world. I forget the name of it. These books inspired me to want to travel around the world and seek adventure. In this video I drew and danced my first inspiration. (1 min) Was created at the Dance and Inspiration Workshop. I was anxious to graduate from high school and start traveling. Learning by practical experience was my motto. 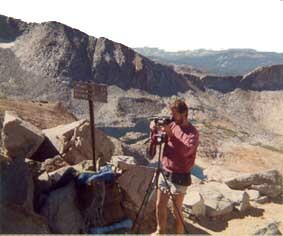 I started off by backpacking for several months in the Sierra Nevada's and got a job in a gold mine. I was hitchhiking with my dog, Buck, and a beat-up old pickup truck drove by. "Want a job?" the driver yelled out. "Doing what?" I asked. "Gold mining!" How could I resist.... Three months latter I hadn't made much, if any money, but it sure was an adventure. Next, I rode a bicycle to Vancouver, Canada from Sacramento, stopping to pick apples in Hood River, Oregon. Thus started my traveling and working my way around the world. In total, I was "on the road" for about 10 years. I interacted with a wide variety of cultures and peoples from all walks of life and learned to see and feel the common humanity of all people on the planet. 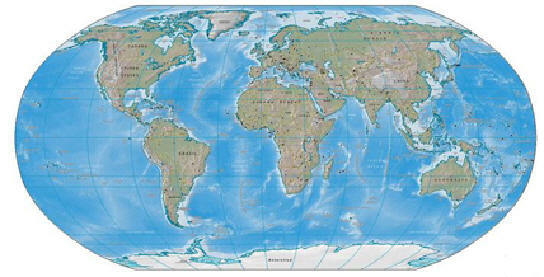 I flew through the South Pacific, Hawaii, Samoan Islands, Fiji and ended in New Zealand. There I worked picking fruit, (apples, peaches, apricots) and as a kitchen helper in Bluff, on the Southern tip of the South Island. In Auckland, I worked as a hospital orderly for 4 months. Off to Australia where I hitchhiked all the way around the country and down to Tasmania. I worked as a surveyors assistant in the outback of Western Australia, picked fruit around Adelaide and worked in a cheese factory in Burnie, Tasmania. Then on to Indonesia to teach English. 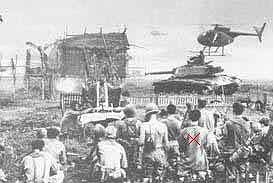 In the Philippines I worked as a movie extra on the movie Apocalypse Now. I traveled all through South and South East Asia. Middle East and Europe. In Germany I was a warehouse worker, longshoreman and ship watchman in the Hamburg harbor. I eventually went though China and took the Trans-Siberian Railroad through Mongolia and Russia. As an extra, I played the part of a soldier in Apocalypse Now. That's me in the back row. X marks my back. At one point, my back takes up 1/4 of the move screen! Sailing an outrigger canoe "sampan" in Bali, Indonesia. They're made of hollowed out logs and are quite heavy. My friend Nyoman helps me drag it into the water. One of my best adventures was when I bought an outrigger canoe and sailed around Bali for a couple of months. I remember one night getting stuck out beyond the breakers and unable to navigate into shore for fear of crashing on the rocks in the dark. I stayed out all night in the rain and lightning, worried I'd be swept far out to sea. Another night I was sailing along in the dark closer to shore and suddenly I could hear what I now know were dolphins blow holes all around me. I got really worried that they were whales and would tip my little canoe over. 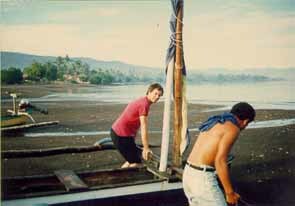 Sailing was a great way to learn the Indonesian language. I'd pull in to shore in the evenings, sit and chat with the fisherman around the camp fire, eat roasted fish on the open fire and learn the language. 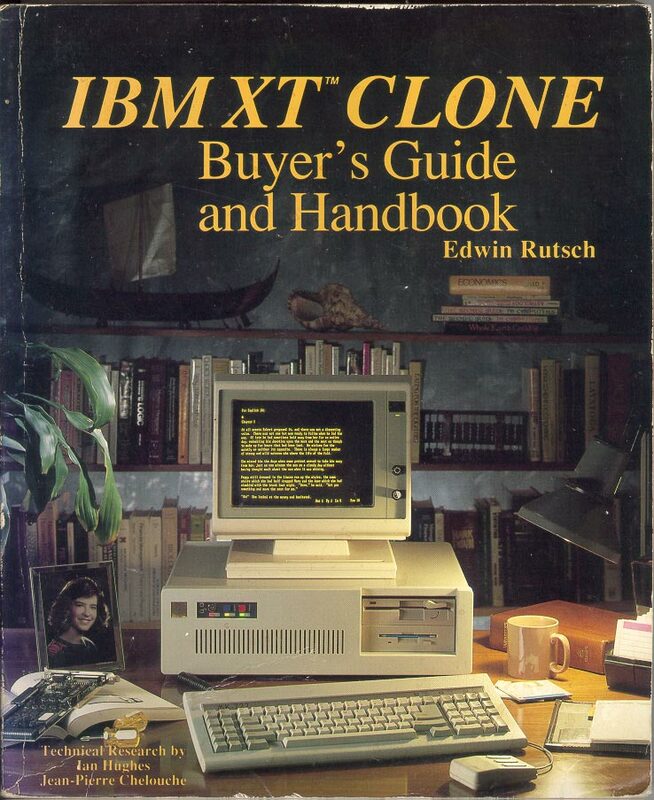 I bought a PC and on my own I started learning about "PC clone" computers and ended up authoring three books on how to buy and use them. 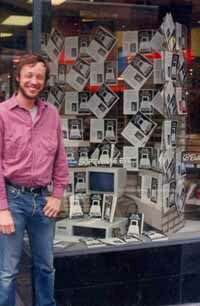 I also wrote articles for several computer magazines. Taking advantage of the new desktop publishing software, I created a small book publishing company. 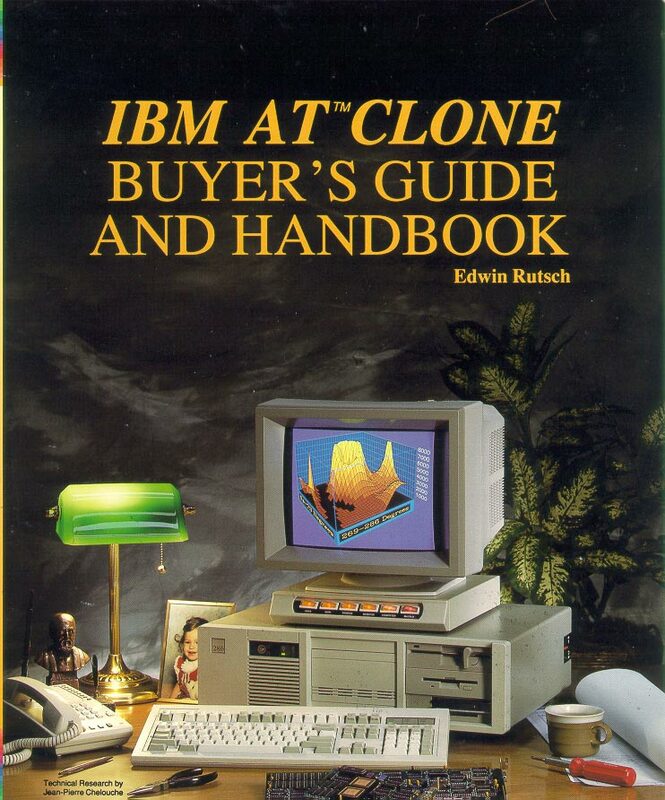 "With his series of clone buyer's guides, Rutsch provides sound, lucid advice to the confused shopper and a valuable resource to the bewildered user. 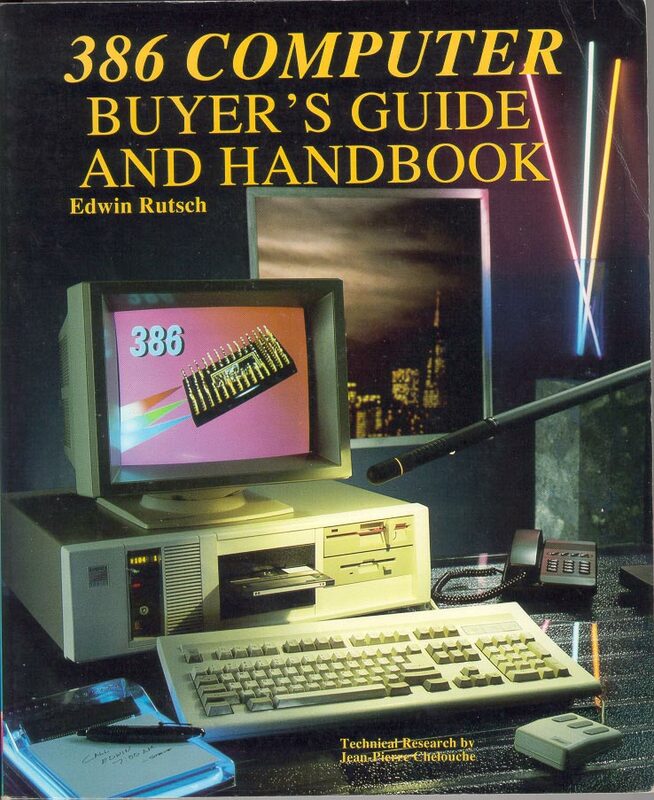 His books (themselves a testimonial to desktop publishing) make a great contribution to the industry by making it vastly easier to make an informed decision, as well as be more productive with your machine after you've bought it." 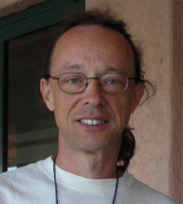 I became interested in Windows NT in 1994, and became President and founder of the Bay Area Windows NT User Group. I passed the Microsoft MCSE + Internet certification and have worked as a computer systems administrator and consultant. 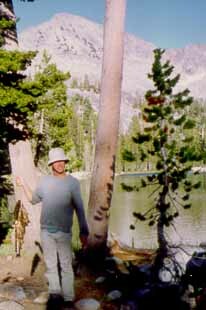 I worked at Esalen Institute (a retreat center on the Big Sur coast and home of the human potential movement) for about a year and my last position was for three and a half years at Fuji Xerox Palo Alto Labs, a cutting edge computer research lab located on the Xerox Parc research campus in Palo Alto, California. 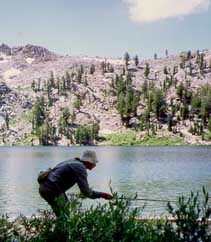 A favorite activity, fishing in the High Sierra Nevada mountain lakes and streams. Here I'm sneaking up on some trout. If they see you they will take off for deeper waters. Success. Natural bait like grasshoppers and ants work the best. At the end of the 1990's, my interests shifted to how video, technology and the arts can be used to learn about the human spirit and values. 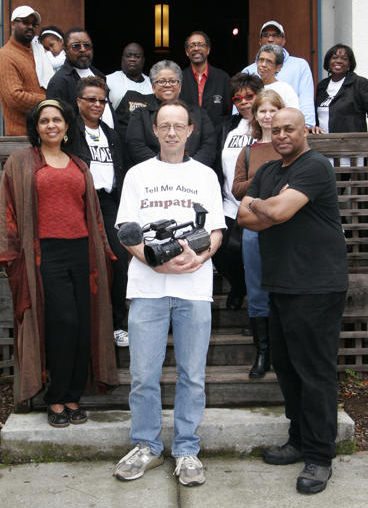 One of many projects was on the experience of inspiration called, "Inspiration and The Art of Living Black". Here we interviewed 45 African American artists who told personal stories about their inspiration. Another project explored the question of "What are Progressive Values"? Over 250 people talked about their experiences with caring, empathy, community, equality, justice, responsibility, freedom etc. The videos are available on Youtube. From my research and explorations, I came to see the central role and importance of empathy in human connection, conflict resolution, and general well being. It forms the foundation of caring, community, compassion, love and all the values that hold society together and make life worth living. I've now dedicated my life to a project on promoting and fostering the value and experience of empathy. I'm working to build a movement to support building a global culture of empathy and compassion. I'm looking at nurturing societal transformation, where empathy becomes the primary social and cultural value in the world culture. I'm doing this through the the organization I founded, The Center For Building a Culture of Empathy. We have many empathy building initiatives. 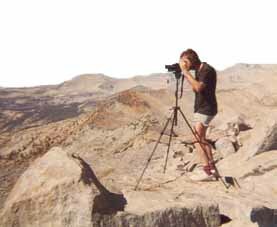 Part of that effort is to create a documentary on the nature and importance of looking at the world through each others eyes. Also, in these economically difficult times, the country has been called on by the nations president to develop deeper empathy for each other. To realize we are all in the same boat and need to walk in each others shoes. Feel free to email me and say hello.